North Beach, Sunny Isles and Aventura Condos! Unit #3, 1-bedroom, ceramic tile flooring, right on gold course $135,000! 350 75 St: 1955 low-rise "Miami Modern" style garden complex. Low operating costs means low monthly maintenance, blocks from The Beach, good transportation and value. Pets OK up to 55 pounds! Unit #204, 1/1, updated and ready to move-in, stainless appliances, granite counters, tankless water heater $169,900! 401 69th St. Full-service high-rise just steps from the Beach and right off Millionaire's Row. Close to restaurants, nightlife, transportation, tennis. Rooftop pool for those late afternoon laps! 1455 N Treasure Drive: Waterfront living on quiet Treasure Island. Great pool terrace, up-to-date gym and newly updated lobby and public areas. 7441 Wayne Avenue. Full-service waterfront high-rise in quiet Miami Beach island location. Best hidden gem in Miami Beach. Ocean, bay and city views from every room. Lots of closets, 2 parking spaces and a storage area per unit. Amenities include a 24-hour concierge, valet, Olympic pool, kids pool, bike storage, onsite management, beautiful large gym facing the pool. Located in up-and-coming North Beach.Just 4 blocks from Collins Ave and the 71 St shops and abundant restaurants. Huge new Publix is only a few blocks away. 900 Bay Drive: High rise waterfront property occupying a huge site with amazing frontage on Biscayne Bay. On site marina, gym waterfront pool, you-name-it! A MiMo classic akin to the great Miami Beach resort properties like the Fontainebleau and Eden Roc, the King Cole would cost a fortune to recreate today! Search MLS for listings in King Cole! 7832 Collins Ave: Great NoBe location on Collins Avenue directly opposite North Shore Park and the Beach. Garage parking, well-run building with reserves and low maintenance. Search MLS for listings in Park Beach Club! 7904 West Drive: Island getaway with on-site tennis and marina, yet close to everything. Direct bayfront studios with terrific water views and balconies throughout. Search MLS for listings in Bayshore Yacht & Tennis Club! 7625 Harding Avenue: Just a block from Collins Avenue and the Beach! Low-rise 1956 garden apartment complex with very low maintenance fees. 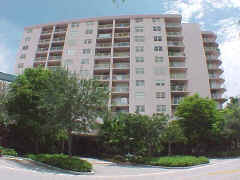 6917 Collins Ave: Great oceanfront condo! Super amenities and style! Sauna, gym, pool, concierge, valet guest parking. 6881 Bay Drive. 1948 Streamline Classic, great waterfront property with bayfront pool, private landscaped courtyard, balconies, and...free dock space! 1865 79th Street Causeway: Island living in quiet North Bay Village, this 1966 MiMo high-rise evokes the JFK-era when the Jet Set came to town to live it up! Oversize apartments, concrete-block interior partitions, expansive bayfront pool terrace and more! Great value here. 7441 Wayne Avenue. Full-service waterfront high-rise on quiet Miami Beach island location. Close to shopping, dining, tennis, walk to the beach. Heated Olympic pool, parking for 2 vehicles, gym and much more. 6770 Indian Creek Drive: High rise waterfrontt property with great amenities: bayfront location, pool, gym, doorman and more. 7920 East Drive: Low-rise bayfront property in quiet North Bay Village. Spacious waterfront pool terrace. 7928 West Drive. Great bayfront North Bay Village address. Bayfront pool terrace, close to everything yet located on quiet causeway island. 6450 Collins Ave: High rise at the top of Millionaire's Row, with unobstructed ocean views, lovely pool and on-site management, excellent value that's hard-to-find in on Collins Ave.
1220 71st St: Garden complex on quiet island. Swimming pool, secure parking and low overhead. 6525 Collins Avenue: New oceanfront boutique hotel-condo right on Collins Avenue. 2016 Bay Drive: High rise waterfront property, pet and rental-friendly, recently upgraded and improved. 7600 Collins Avenue: New and unconventional tower facing oceanfront park. Search MLS for listings in Ocean Blue! 7300 Ocean Terrace: Oceanfront condo-hotel, walk out the front door and onto the beach, great for investors, pets OK, convenient to shopping, dining and more. 7545 East Treasure Drive: In North Bay Village, situated on a causeway island in the center of Biscayne Bay. Super value property on terrific bay-front property! Direct bayfront loft-style living on quiet island setting. Rooftop gym and pool! 6580 Indian Creek Drive: Built new in 2006 this waterfront, luxury property boasts hurricane resistant glazing, covered parking, on-site marina and a great location with excellent access to everything. Super Luxury on Ocean Terrace! 7300 Byron Avenue, low-rise condo, great for investors, pets OK, low costs. 7135 Collins Avenue. Oceanfront high rise. Beachside pool, doorman, valet, new gym, great value with recent major renovations in place, steps from everything! Brand-new super-luxury oceanfront tower! Resales of preconstruction units now available. Search MLS for listings in Akoya! 6423 Collins Ave: Luxury Oceanfront Living on world-famous Collins Avenue! Brand-new Causeway waterfront mid-rise. Superb design, all luxury amenities! On quiet causeway Island! Very low maintenance costs. Waterfront location on Bay Drive! 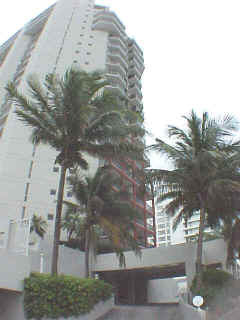 Oceanfront Luxury High Rise on Collins Avenue! Offers Bayfront luxury lifestyle with absolutely stunning unobstructed views of the Miami and Miami Beach skyline with beautiful Biscayne Bay in the foreground. 1185 Marseille Drive: Waterfront on Normandy Island. Great dockside pool terrace. Parking on site, just minutes from the Beach or Miami on the Causeway. 8233 Harding Avenue, one short block to Ocean, building in process of major renovation, buy now and benefit from upgrades already paid for.